google has turned its e-mail service into a fully Web-based Voice-over-IP system that lets you talk to people with landlines and cell phones all over the world. I try to restrain myself from calling any new tech product or service a killer. 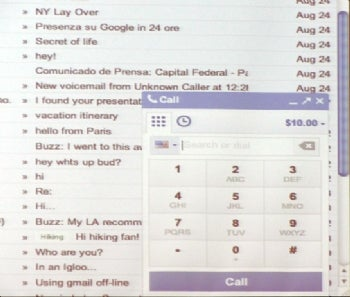 But google just announced that it’s integrating google Voice into Gmail, turning its e-mail service into a fully Web-based Voice-over-IP system that lets you talk to people with landlines and cell phones all over the world. And…well, it looks like it could be an awfully compelling Skype alternative. Especially since calls to cell phones and landlines in the U.S. and Canada that you’d pay for with Skype are free. The integration adds a cool new feature to Gmail, but as a long-time google Voice addict, I’m even more excited about what it does for that service. 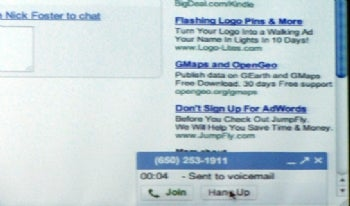 Now those of us with google Voice numbers can use it in a new way, and without burning through mobile phone minutes. 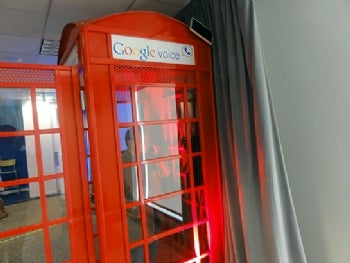 –google plans to install red google Voice phone booths–yes, phone booths–at airports and college campuses to let folks try the service. More thoughts once I’ve had a chance to try the service myself. If you’ve got access, give it a try and let us know what you think.